Accounting is an important part of running any business, and you should ensure everything is working well in this area because a small mistake can have serious consequences for your business. There are different options available when it comes to accounting, but the two most important areas are hiring the services of a bookkeeper and an accountant. The growth of the internet has made it even easier to outsource your accounting work to a bookkeeping service. Outsourcing the services that are not the core functions of the business has proven to be a good idea for many businesses. Bookkeeping is one of those areas that has made a lot of difference. Bookkeeping is like going to the dentist – no one really wants to do it and keeps postponing, but failing to do it will lead to serious problems. This is why many business owners will just hire someone to do it for them and forget about it. Outsourcing the bookkeeping operations will help in freeing up valuable time that you can use on other things that will help your business reach its goals. Backend office functions like accounting can be a heavy distraction from the day-to-day running of the business, and there are times when a conflict of interest can arise from hiring an in-house accounting team. If you outsource these functions, all the distractions will be of sight which means you can remain focused on the services that matter the most to your business. Outsourcing your bookkeeping operations will help you in saving a lot of money. This is because hiring full-time or part-time accountants will mean having to pay for the wages and benefits. 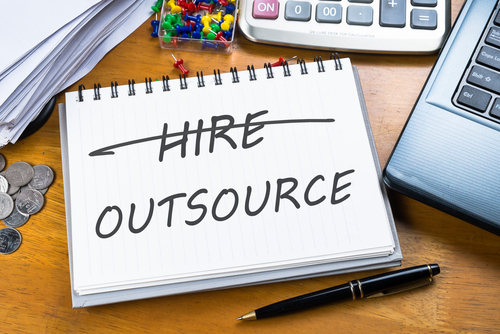 This can be expensive when you add up all the related expenses that come with hiring employees at the end of the year compared to what you would have paid for outsourcing. You will be able to see for yourself the savings you stand to make. There are many other small costs that come with having an accounting department, including office space. Bookkeeping services are able to offer their services at a lower cost because they have many clients. Outsourcing will provide you with the perfect way of getting full-time knowledge without having to spend a lot of money. When you leave your bookkeeping to skilled staff who have a proper understanding of the best practices and specific tasks. You will then see for yourself that everything becomes much easier, and also more effective. The quality of the work you get will be even better than what you would have gotten if you were to hire an in-house accountant. When you eliminate the distraction in the workplace, the accountants will be able to work even better because they can fully focus on their work. It is hard for a bookkeeper to do their work well when there is a lot of things going on in the workplace, and this can sometimes include noise. The quality of work you are going to get will be better. You will have access to the top tools in the industry when you hire a bookkeeping service. There are some expensive bookkeeping programs that many businesses aren’t able to afford. Hiring a bookkeeping service will mean getting these tools too, and you don’t even have to do any work. Hiring a bookkeeping service is the best thing to do. Please contact us at Numbers Pro today to learn how we can help you out with your business. Call us at 03 9510 2120.